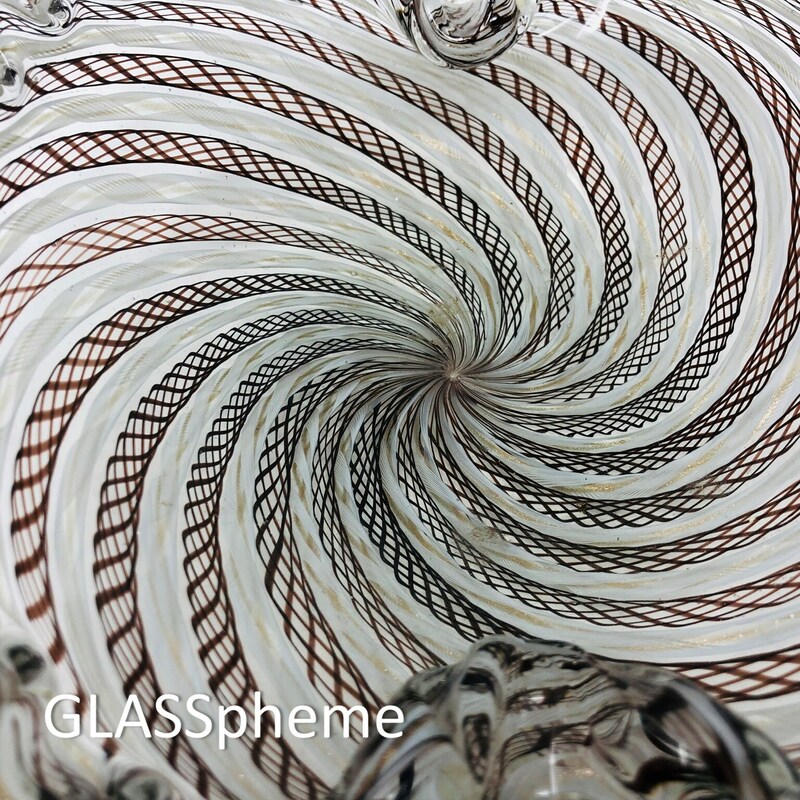 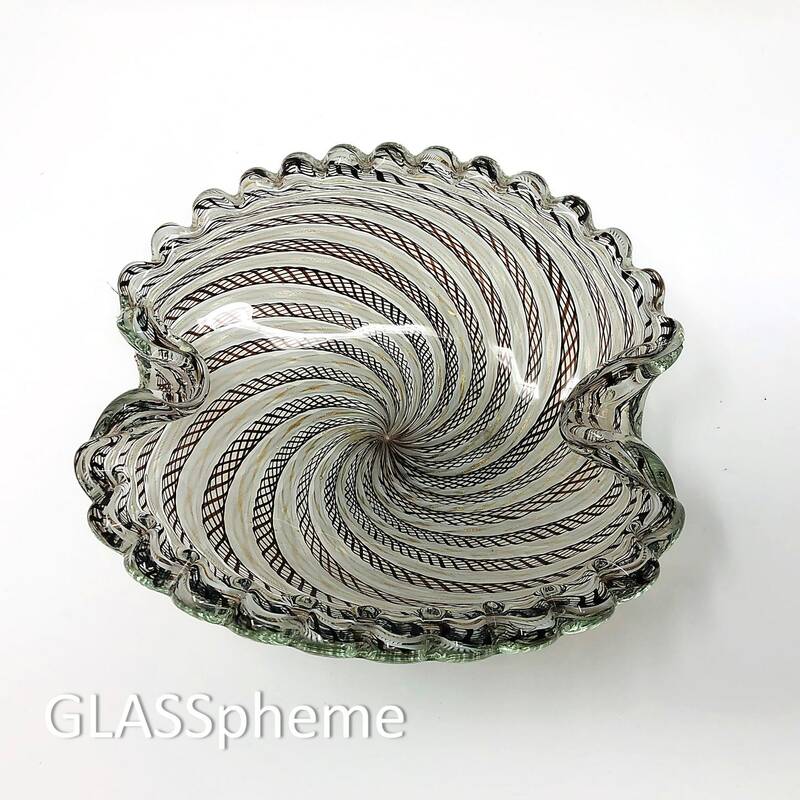 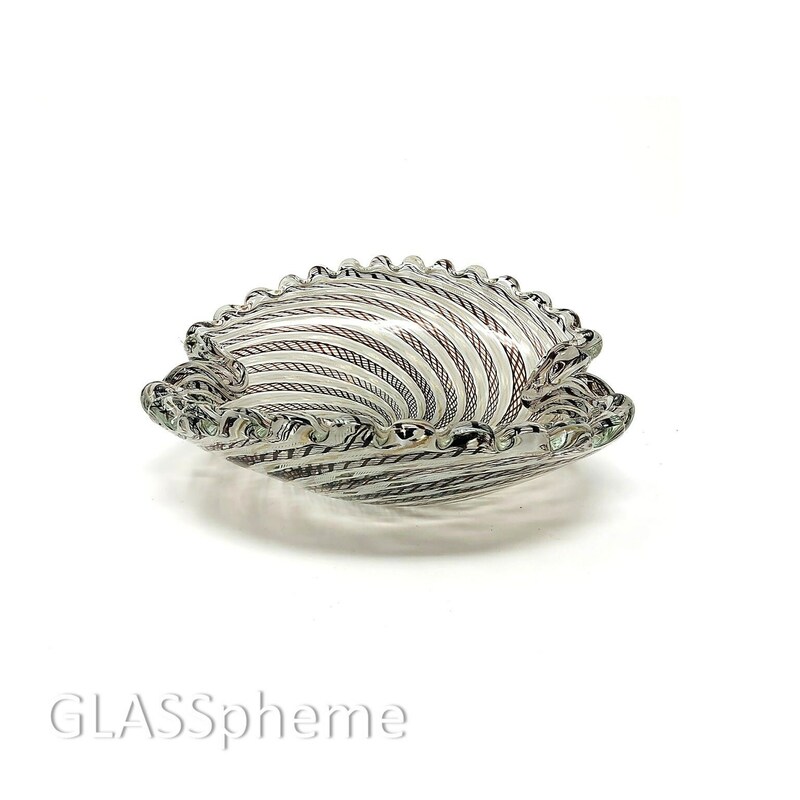 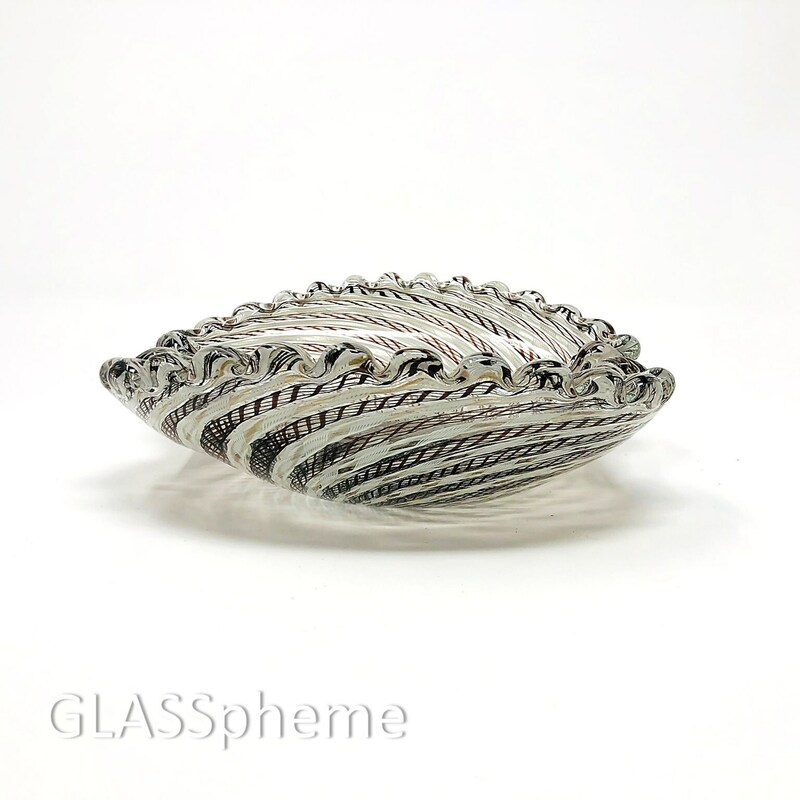 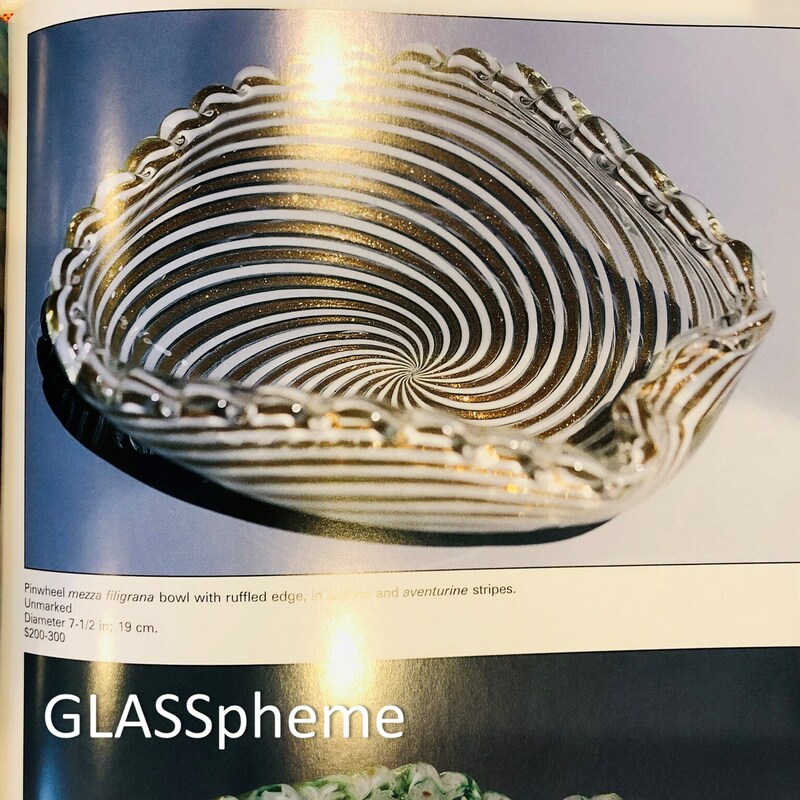 This SPECTACULAR biomorphic 1950's glass bowl | platter/plate | trinket dish by FRATELLI TOSO, done in an intricate pinwheel pattern of alternating canes of aubergine zanfirico and white twisted ribbon lined with gold aventurine is heavily encased in crystal glass and a miracle to behold! 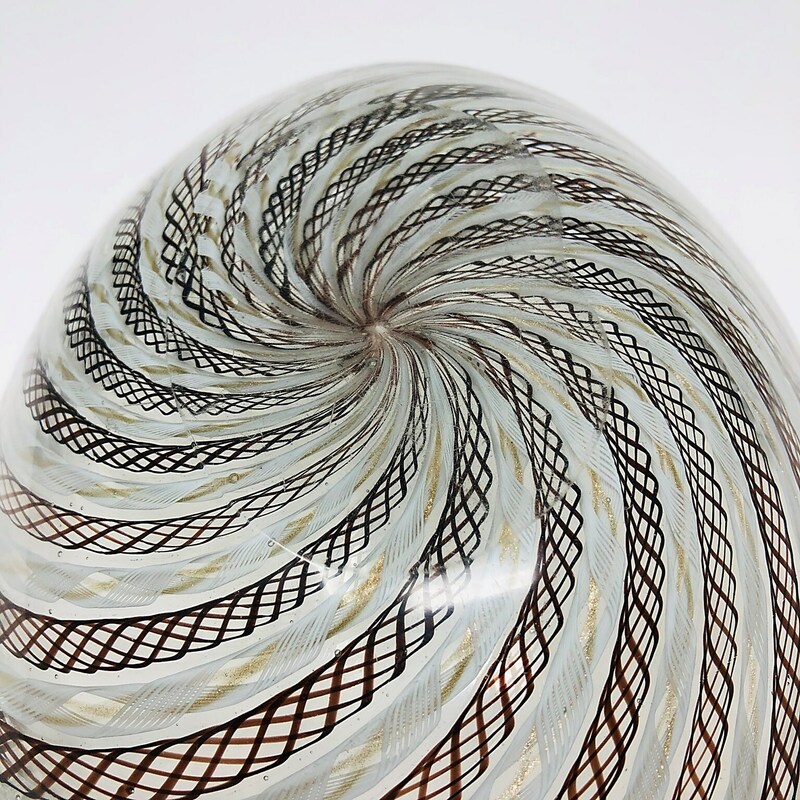 No label, but the last picture from Pina's Fratelli Toso documents the same design and shape, complete with the folded in rims and scalloped edges. 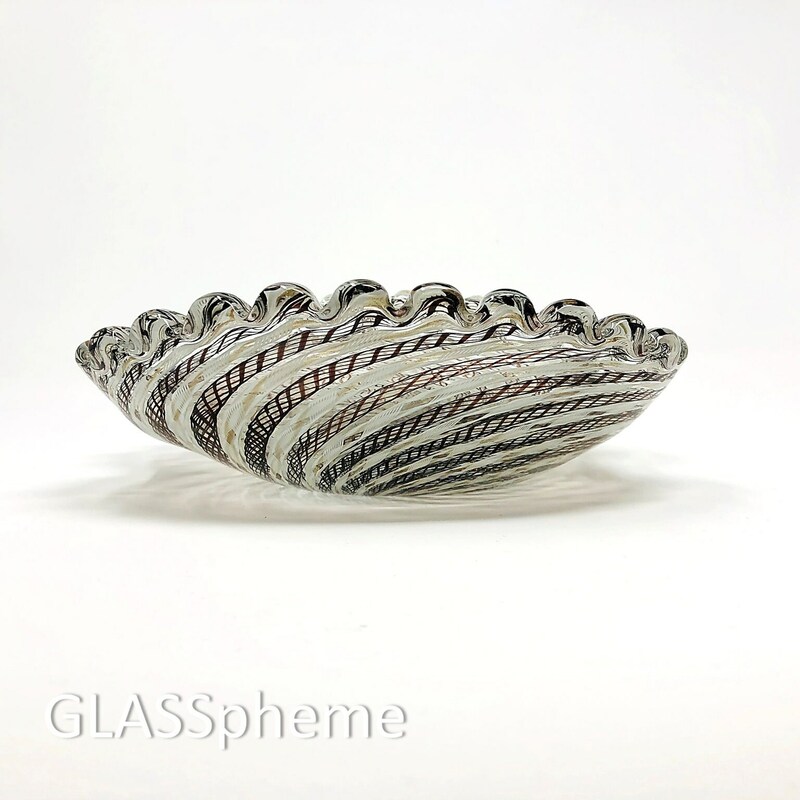 In PERFECT vintage condition with no damage and expected age-appropriate base wear, this would make the most stunning gift or accessory in your own decor.